Since 2002, the American Tort Reform Association (ATRA) produces an annual ranking that identifies states where judges continually misapply laws and court procedures in civil cases. 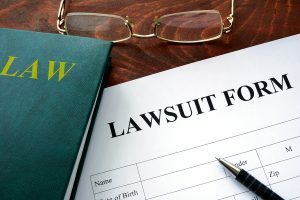 As a result of misapplication, civil cases in these states are often heard in an unfair and unbalanced manner, typically at the expense of defendants. Number one on this year’s list? Florida. The ATRA is a nonprofit corporation whose purpose is to educate the general public about how the civil justice system functions. This is important to note because it means ATRA is generally unbiased in their reviews. The study identified eight jurisdictions or courts where judges seem to ignore precedent, and seek to expand civil liabilities instead. In doing so, judges fail to respect lawmakers’ policy-making authority. The full ranking of the eight jurisdictions can be seen below. The report also put a few areas on their watch list and highlighted a few dishonorable mentions and points of light that were cause for concern.